For as long as our east coast power holds out, I plan to keep a weather eye on the storm by visiting NASA’s phenomenal multimedia site. 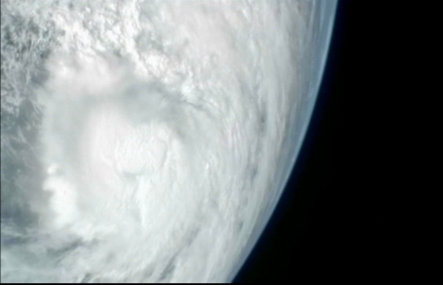 You’re looking at a view of the storm from the International Space Station. Here’s an equally fascinating video, also from the Space Station. Look below, and you’ll notice some space station hardware on the upper left. The clarity of these images, and the fact that they exist at all, seems like a miracle. Be safe, one and all. PS – Back here on earth, here’s a visual diary.